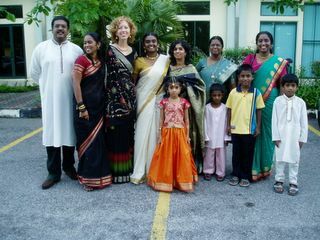 Thini, her extended family, and I before the big event. 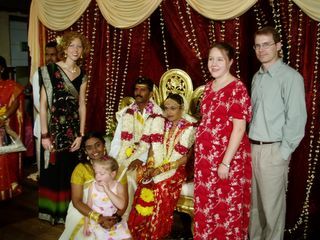 Jenn, David, Corrie, (good friends from KL) and I with the bride and groom. 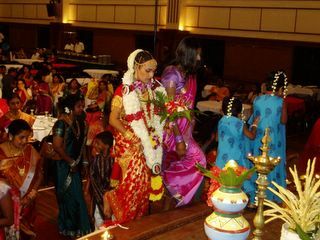 The bride coming back on stage for the final steps of the ceremony.